Guest Post ~ Tech Charisma--Your Own Technical Hub. Tech Charisma brings you a easy Chance to show up your Blogging Talent to the world . 1. Are you Interested in Guest Blogging ? If yes than just gather your content and we will publish it for you with your name on www.techcharisma.com. But before submitting your original content to us,please read the following guidelines . 2. Guidelines for Guest Blogging ? 1: The Article must be original and should contain appropriate content according to the post . 2: Use of Copyrighted images is prohibited. In case you can't find free images for your article ,we will place our own original images for your article. 3: Include your biography at the end of the article so that we can show it up to everyone . 4: If you do not wish to disclose your full article with us than you can give us a summary of the article for further process. 5: Use of Pornographic content is strictly prohibited. 6. There is no maximum limit for the article but should not contain duplicate content. 3. Why Doing Blogging for us ? 1. We will showcase you talent to our charismatic Fans on Facebook and our blog followers. 2. We will give back links to your blog/Website as well . 3. A chance to earn from Tech Charisma by writing Quality articles. 4. 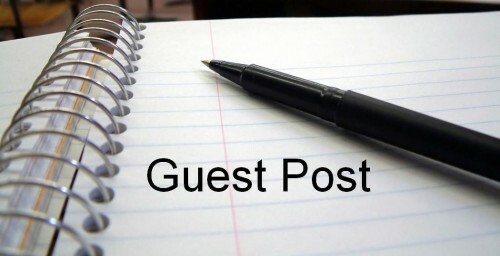 A separate label for Guest Posts under categories section . 5. A Chance to become a Full time Blog writer for Tech Charisma. 1. You can Submit your article by mailing to us a articles@techcharisma.com by writing your content in the mail body or attaching it with the mail. 2. You can also contact us at info@techcharisma.com for further Process. In Case of any Violation of your article by Tech Charisma , You can Report it to info@techcharisma.com . Stay Tuned with Tech Charisma -- Your Own Technical Hub! !